We sell stuffed Lions, Elephants, Monkeys, Sharks, Dinosaurs and other plush animals for up to 80% off retail price! 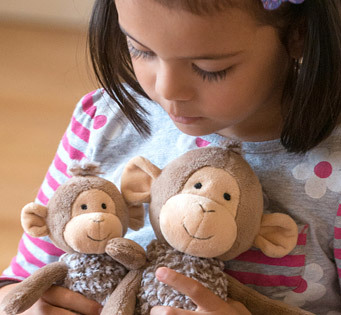 These beautiful plush toys are child-safe and made with love by Mary Meyer. Every year we create over 400 different styles of Elephants, Lions and other plush animals and distribute them to stores all over the USA and Canada. We come up with new designs every year and are continually retiring older toys to make room for the new. 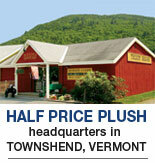 This gives Half Price Plush a never-ending supply of stuffed animals that we sell directly to you by the case at below Wholesale prices. Perfect to add excitement to birthdays and other parties, for fundraising or charities or to resell. Order our stuffed toys below or call us toll free at 1-800-387-7814.